In December, the first 12 segments of the massive ITER cryostat were delivered to the ITER site in Saint-Paul-lez-Durance, France. The 12 segments, forming the first tier of the cryostat base section, are now stored in the Cryostat Workshop. Welding operations will begin in the summer of 2016. The 3,850-tonne cryostat, the vacuum-tight container that will surround the main plasma chamber and superconducting magnets, is under the procurement responsibility of the ITER-India Domestic Agency and manufactured by the Indian industrial giant Larsen & Toubro Ltd. 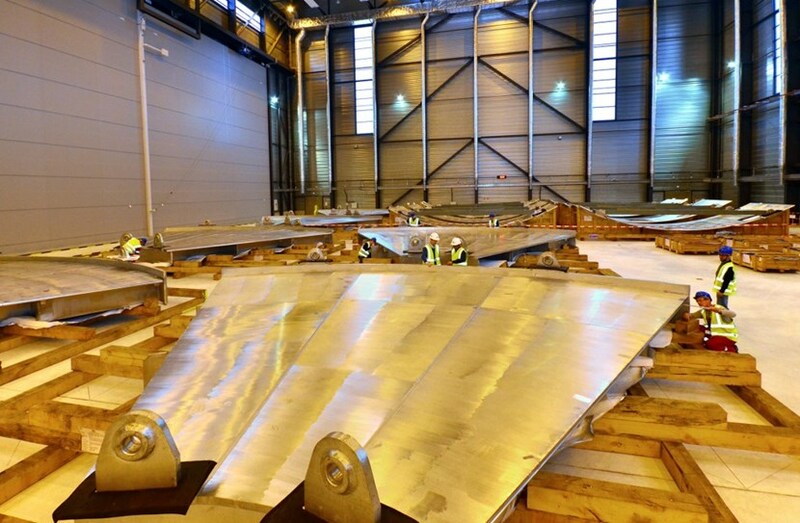 The arrival of the cryostat segments represents a double milestone for the ITER Project—the arrival of the first elements that will be integrated into the ITER machine, and the ahead-of-schedule achievement of the first project milestone validated by the ITER Council in November for the years 2016-2017.